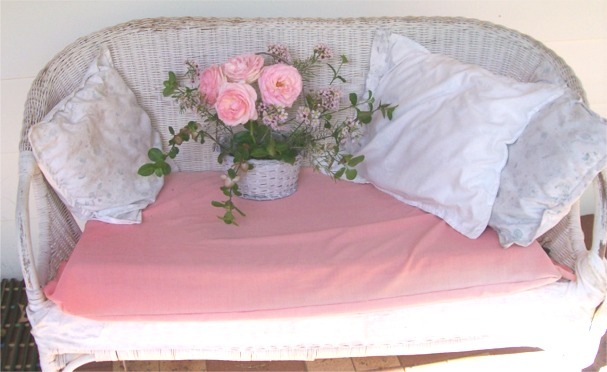 Here is a lovely arrangement of Roses on my old Vintage looking settee. Sometime the old things are most comfortable and we don’t want to change them for upmarket looking things. 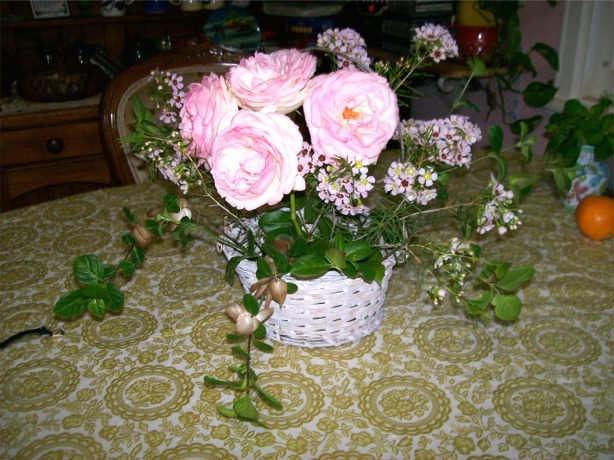 As we get older it is nice to have our familiar belongings around us. Many young people like to follow the newest trends in whatever the fashion is at the time. That is why we have all the Road Side Curb Crawl days to throw out the used goods and buy new. Well some of us can’t keep up with the Jones’es nor do we need to because we like to keep our Vintage Treasure’s and use our hard earned finance to fund something else to use it for: – maybe a holiday or to help our family or friends. However it is good to find a really good bargain along the Road Side Curb to help us when we are in need of a helping hand. Put it out for someone else to use or to treasure. 2 – Slices Sandwich Bread. Cheese to cover one Slice. Frying Pan. Oil for Frying. Put cheese on one Slice of Bread, Cover with the next Slice. Cover base of Frying Pan with Oil, when Oil is hot carefully put in your Cheese Dream and fry until golden brown underneath then turn over and brown the next side. If you like you can sprinkle some mixed herbs on the cheese before cooking or sprinkle some Garlic on to the cheese for a different taste. The best one I have found is to sprinkle some Thyme Herb on the cheese before you put the other slice on top. Now that Winter is coming this is really good with Egg and Bacon for a hearty Breakfast or Lunch – or just on it’s own!!!!!! This is also a good one to put on the B.B.Q. Here is a Bible Verse: Psalm: 27 verse 1. The Lord is my light and my Salvation – whom shall I fear?